IDW have announced that the Ghostbusters universe is set to expand with Ghostbusters: Answer the Call, a five-issue comic book series launching in October 2017. 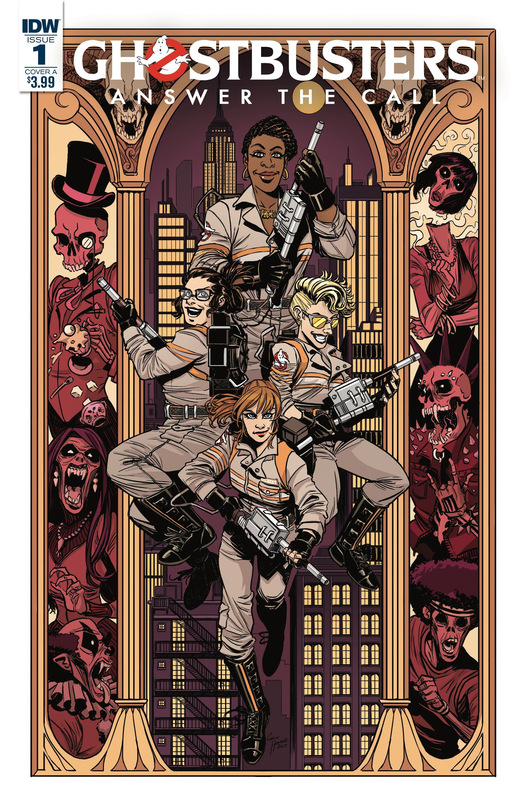 The members of the Ghostbusters team from Sony’s 2016 feature film were first introduced to IDW’s long-running Ghostbusters comic books line with Ghostbusters 101, in which they joined forces with the original Ghostbusters for an inter-dimensional crossover adventure. Their book debut sold out upon release, and now the “proton pack-wielding” women are back. Writer Kelly Thompson (Hawkeye, Ghostbusters: Deviations) and artist Corin Howell (Mighty Morphin Power Rangers, Ghostbusters: International), who have both worked on Ghostbusters previously, will be creating the series. After the phenomenal success of teaming the 2016 Ghostbusters with the original Ghostbusters in our dimension-hopping Ghostbusters 101 series, we are very excited to bring fans all new Ghostbusters: Answer the Call adventures. If Ghostbusters 101 proved anything, it’s that ‘busting feels good in any dimension, and we at IDW are honored to join Sony and Ghost Corps in continuing to expand the ever-popular Ghostbusters shared universe. In the series debut, “What Dreams May Come, Part 1,” while on a routine house call to dispose of a simple Class III spook, Abby, Patty, Erin, and Holtzmann encounter a truly terrifying Class VII that appears to be feeding on fear. Able to create illusions that prey on their greatest fears and trying to turn the earth into a “nightmare dimension” , our team has met their match. You’ll find Ghostbusters: Answer the Call #1 in stores October 2017. Corin Howell will draw the main cover, with Elsa Charretier (Love is Love) and Valentina Pinto (Strawberry Shortcake) providing the variant covers.